1This is a dealer discount 2Residency restrictions apply. 3Must qualify through GM Financial. Not available with special finance, lease, or some other offers. Take delivery by 04-30-2019. See dealer for details. 4Not available with special finance or lease offers. Take delivery by 04-30-2019. 5Must currently own or lease a 1999 or newer non-GM vehicle. See Salesperson for details 6Excludes L models. Monthly payment is $13.89 for every $1,000 you finance. Example down payment: 5.2%. Must finance with GM Financial. Some customers may not qualify. Not available with lease and some other offers. Take new retail delivery by 4/30/2019. See dealer for details. 1This is a dealer discount 2Residency restrictions apply. 3Not available with special finance or lease offers. Take delivery by 04-30-2019. 4Must qualify through GM Financial. Not available with special finance, lease, or some other offers. Take delivery by 04-30-2019. See dealer for details. 5Must currently own or lease a 1999 or newer non-GM vehicle. See Salesperson for details 6Excludes L models. Monthly payment is $13.89 for every $1,000 you finance. Example down payment: 5.2%. Must finance with GM Financial. Some customers may not qualify. Not available with lease and some other offers. Take new retail delivery by 4/30/2019. See dealer for details. 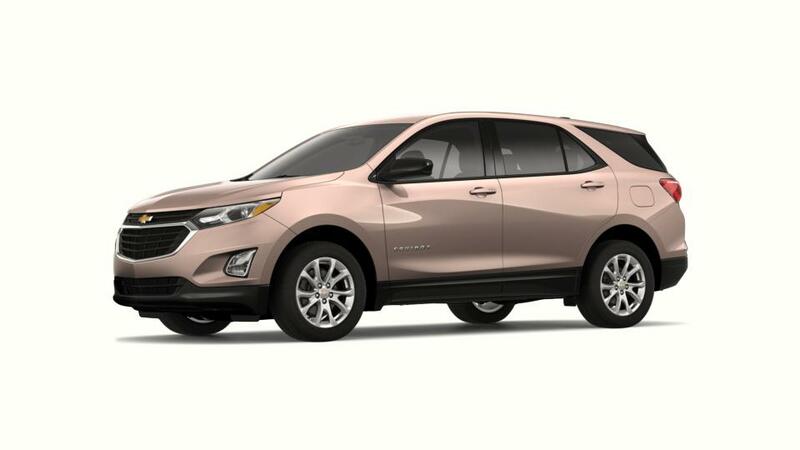 The all-new Chevrolet Equinox gives you the ideal balance of innovation and style; it is currently offered at Regester Chevrolet in Thompsontown near Harrisburg. Showcasing eye-catching exterior, this vehicle will certainly make heads turn wherever it goes thanks to its chrome-accented dual-port grille. Prepare yourself to get awe-struck because of the great inventory of the new Chevrolet Equinox for sale at Regester Chevrolet. The interior of this automobile is put together by keeping your comfort and ease in mind; with leather-appointed seats, this crossover also accommodates your spacing demands with regards to cargo. Pennsylvania and Lewistown customers, you can be certain because this Chevrolet Equinox includes six standard airbags along with high strength steel safety cage to save you from any type of dangerous event on the road. This automobile has state-of-the-art connectivity technology; its built-in 4G LTE Wi-Fi can easily connect as many as seven gadgets which keeps you connected to the world. Find out this marvelous Chevrolet Equinox at Regester Chevrolet right now! Book a test drive right now by getting in touch with our showroom at (866) 561-8636 or on the internet. See our hours and directions page whilst heading over to our dealership; we expect to see you.